and please notice that receiver will exit the pairing mode automatically if it doesn't get signal from transmitter/sensor in 5 seconds. 3)so you should immediately press transmitter pair with the receiver and you will hear the tone you selected which mean your operation is successful. 4)Press the transmitter to have a final check about the pairing works,if you can hear the tune you selected again,which means that your operation is completed successfully. following the above steps(1-2-3-4) make it pair with a new one transmitter is ok.
until hear "ding" with light flashes to reset/clear receiver memory. 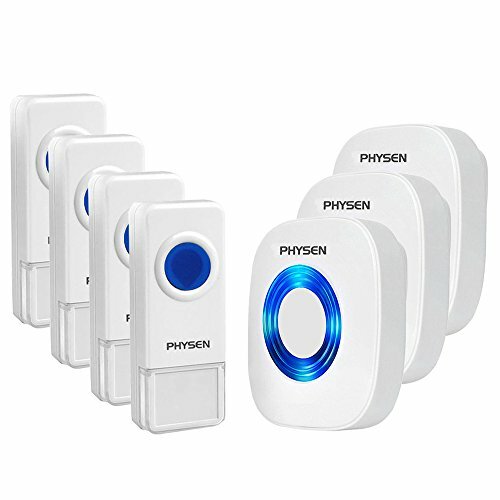 House,office,hotel service,community building,factory, construction site and other areas that is suitable for short-distance wireless environments. It also can be best gift as its new design and nice appearance, are very popular for household.